This morning before work, most of the nation woke early to watch THE RACE. We’ve been holding out for THE RACE for years… 14 years to be precise! That was the last time we won the America’s Cup. The last regatta, 2013, Team Oracle USA won (I won’t get into the speculations around cheating 😆). More history here. Kiwis are a bunch of avid sailors, fishers and boaties. Being such a small country with beaches everywhere, it’s enabled most of us to grow up by the sea, in the sea (diving, spear fishing, snorkelling, swimming) or on the sea (fishing, waterskiing) at various stages. 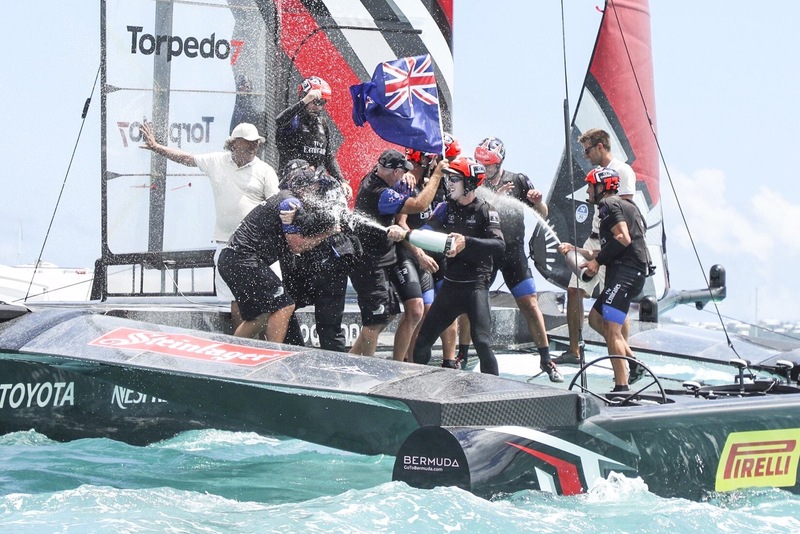 So we are all behind Emirates Team New Zealand with a passion. Not bad at the rugby either!